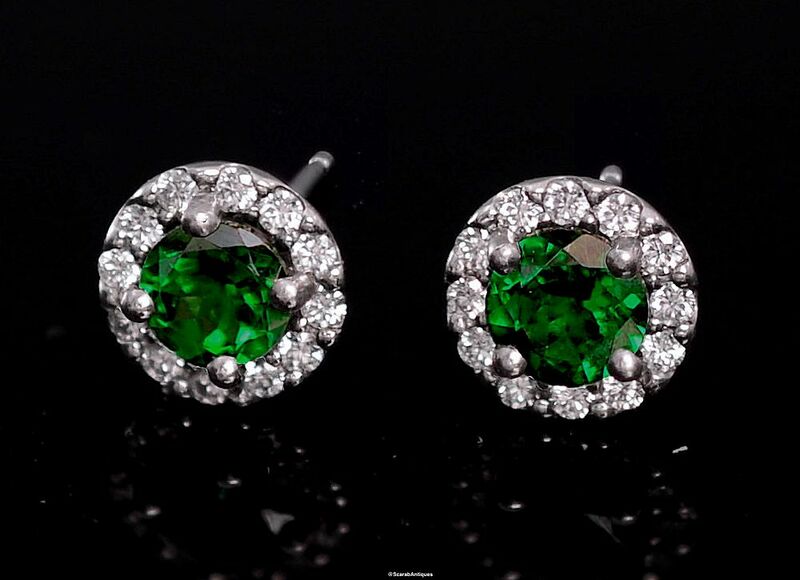 These platinum earrings are an elegant every day wear. 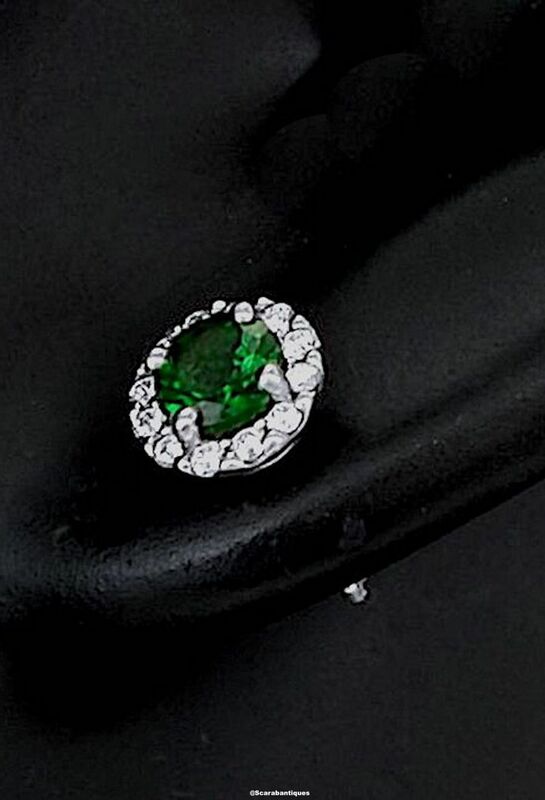 In the centre of each earring is a round tsavorite (green garnet) set in a 4 claw platinum collet and surrounded by 12 round diamonds in a platinum surround above a post for pierced ears with platinum butterflies. They are hallmarked by the Sheffield Assay Office for platinum.